The smallest and lightest lone worker device. Leading lone worker company announces key product diversification, and smart self-service on-boarding option. International lone worker company, SoloProtect, is announcing several new developments within its product range for 2018, starting with the addition of SoloProtect Go – a fob-style lone worker device, supplied as part of the company’s range of solutions and accredited to BS 8484:2016. SoloProtect is primarily known for delivering solutions around its identity card device form-factor, Identicom and the SoloProtect ID, of which a combined 260,000 devices have been supplied to lone workers directly, and through a network of authorised partners. With SoloProtect Go, the company is diversifying its offering to cater for a wider set of customer requirements, and to give SoloProtect solutions an even greater appeal. SoloProtect Go is a compact and easy to use, dedicated lone worker device with discreet, simple operation. It’s also the world’s lightest, and smallest dedicated lone worker device available to organisations implementing BS 8484 approved, staff-protection. SoloProtect Go is supplied with all the usual functionality expected of SoloProtect lone worker devices – including the ‘Device Check’, ‘Amber Alert’ and ‘Red Alert’ functions as standard. 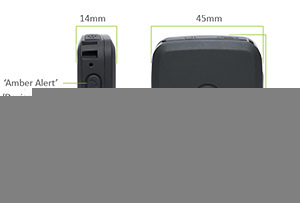 The device is also water resistant to IPX6 rating, and configurable for those lone workers with risk of incapacitation. SoloProtect Go is also enabled with haptic (touch) feedback to discreetly make a device-user aware that their situation is being monitored, and reassure that appropriate action is being taken on their behalf. 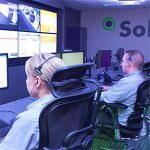 SoloProtect Go is supported by the company’s in-house, EN 50518 accredited Alarm Receiving Centre (ARC), which is a 24/7/365 resource and the only dedicated lone worker ARC in the UK to meet this European level standard. Any ‘Red Alert’ monitored by the SoloProtect ARC is assigned a highly-trained, dedicated operator who specialises in handling lone worker alarms. The SoloProtect ARC is authorised to request a Police escalation quicker than a 999 call via Unique Reference Numbers (URN), where appropriate – achieving the best possible response and outcome for a lone worker needing emergency support. SoloProtect Go is a superb value for investment solution, and is coupled with a smart and efficient set-up process that allows web-based, self-service onboarding. User training and set-up for SoloProtect Go integrates with SoloProtect Insights, launched successfully in December 2017, and gives customers the ability to set-up and manage their solution online, through this fully-responsive, client-engagement tool. This allows SoloProtect to deliver comprehensive lone worker protection, but at a price-point that reflects unprecedented value. It’s planned that SoloProtect Go will be available to customers from Spring 2018 – the product is one of several new product development announcements that will be delivered by the company within the coming year. 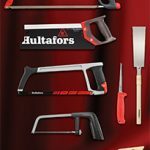 For more information, find out more about our Products.